Yusuf Abdi Ali is accused of committing war crimes, including torturing people, burning villages and conducting mass executions, during Somalia's civil war in the 1980s and '90s. WASHINGTON — A man who is accused of committing atrocities while serving as a military commander in Somalia has been working in security at Dulles International Airport, a CNN investigation has revealed. Yusuf Abdi Ali has been living near D.C. for about 20 years. He currently lives in an apartment in Alexandria, Virginia, with his wife and has been working as a security guard at Dulles, CNN found. Ali is accused of committing war crimes, including torturing people, burning villages and conducting mass executions, during Somalia’s civil war in the 1980s and ’90s. “He oversaw some of the most incredible violence that you can imagine,” Kathy Roberts, a lawyer with the Center for Justice and Accountability, told CNN. “He tortured people personally; he oversaw torture,” Roberts said. CNN reports Ali and his lawyer, Joseph Peter Drennan, deny all accusations listed in the CJA lawsuit. In order to get the security job at Dulles, Ali had to pass a criminal history records check from the FBI and Transportation Security Administration. Following the CNN investigation, Master Security, the contractor Ali works for, placed him on administrative leave and withdrew his airport access. Rep. Barbara Comstock, R-Virginia, issued a statement Wednesday saying she plans to dig deeper to learn how Ali passed security checks and was allowed to work at the airport. “I am requesting a full, in-person briefing from the Department of Homeland Security and other relevant agencies,” she said. U.S. Immigration and Customs Enforcement officials tell CNN Ali is known to the agency, but they would not clarify why he has been allowed to remain in the country. All Master Security employees are subject to “the full, federally mandated vetting process in order to be approved for an airport badge,” the Metropolitan Washington Airports Authority told ABC News, noting the vetting includes a criminal history record check by the FBI and a security assessment by the Transportation Security Administration. 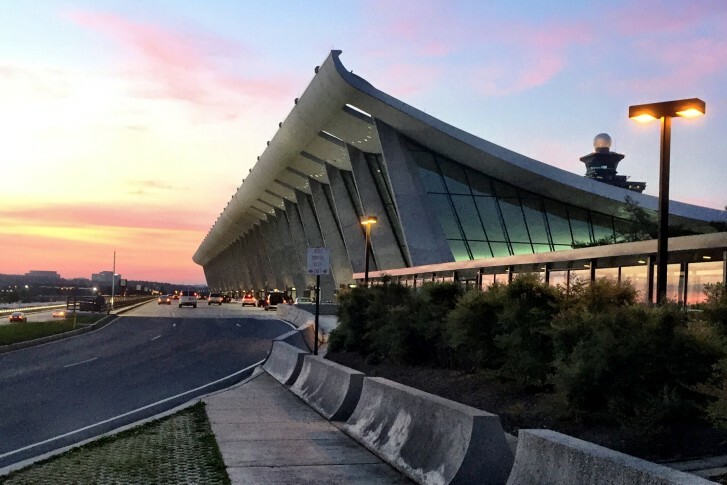 Master Security employees working at Dulles must also be licensed by the Commonwealth of Virginia. “We have verified that all of these processes were followed and approved in this instance,” MWAA said in a statement. A judge has yet to rule on the case as the courts try to determine whether the U.S. legal system has jurisdiction over the lawsuit, according to the CJA. The circuit court dismissed the lawsuit’s war crimes claim on the basis that it lacked jurisdiction, it allowed claims of torture and attempted murder to go forward. The case is now awaiting a review by the Supreme Court. After the alleged war crimes, Ali moved to Canada, but was deported two years later, the suit claims. He then moved to the U.S., where deportation proceedings were begun. He voluntarily left America shortly thereafter in 1994, and returned two years later, according to the suit. Ali’s attorney, Joseph Drennan, denied all allegations and told ABC News that his client, who is still a citizen of Somalia, returned to the U.S. legally. ABC couldn’t immediately reach the FBI, TSA or Virginia Commonwealth’s Department of Criminal Justice Service for comment.